Readers, it’s been such a busy week of blogger adventures. I’ve had two events on this week which I’ll write about separately, starting off with the blogger dinner at The Italian Kitchen in Merchant City on Wednesday night. Marco the owner contacted me directly to see if I was interesting in coming along to the VIP night. I’d no idea what to expect, other than we’d be learning about making ravioli and enjoying the Italian food. This was my first visit to the venue – it underwent an extensive refurbishment in January 2017, for a fresh new look with exposed brickwork, an open pizza oven and some really lovely industrial style lights to give anyone interior envy. It was a cracking small group dinner for 5 of us, starting with Prosecco and a range of homemade breads, olives and oils. The Italians sure love carbs. As do I. For starters, I tried the crab cakes. They were small and delicate – 3 in total, deep fried in breadcrumbs and finished with a green salad. I LOVE crab cakes and it’s something you don’t you don’t see on menus here that often. 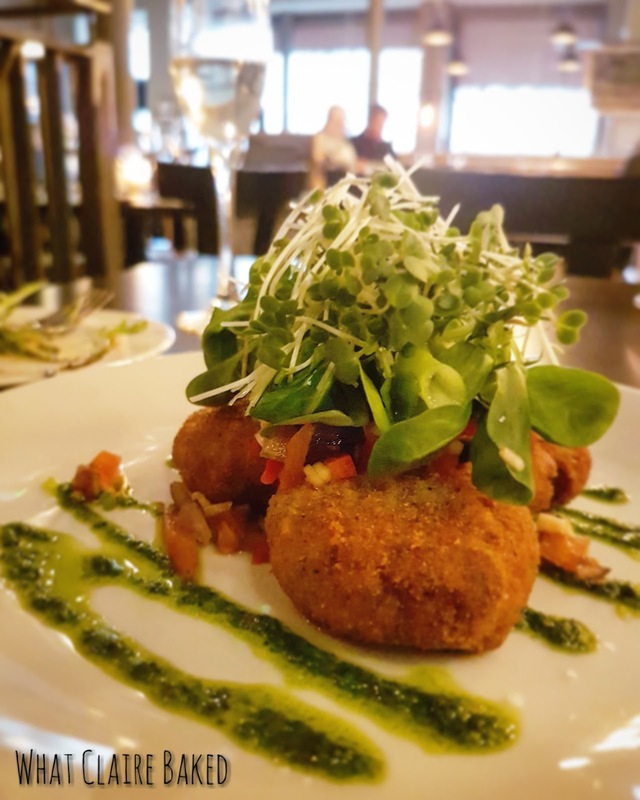 The Italian Kitchen has an extensive menu of starters, mains and desserts of real Italian food – Marco’s ethos of “like you’d find in Italian, not in Glasgow”. 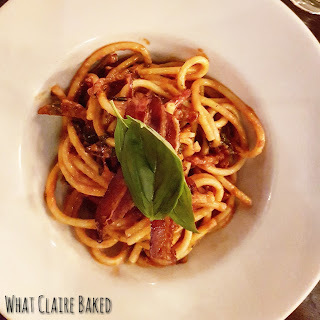 For main, I had a delicious hollow spaghetti – who knew that that was even a thing – with a creamy tomato sauce, sausage and crispy pancetta on top. It was delicious. I’ve a hatred for overcooked pasta and the chefs did a great job in keeping it with just the right amount of bite. The restaurant makes all its own pasta – something they are keen to tell the locals who visit. Thinking I’d eaten more than enough, I didn’t expect dessert, but the menu made its way over to us. Luckily, we had some activities planned with the chefs – a lesson in making ravioli – so the waiting staff took our order, whilst we went over to the open kitchen to watch and learn. Turns our ravioli isn’t difficult to cook if you have the right tools – a pasta machine, ravioli mould and serrated cutter are enough to get the job done effectively. We were given a portion of the ravioli to take home with us… lunch for Thursday was sorted. 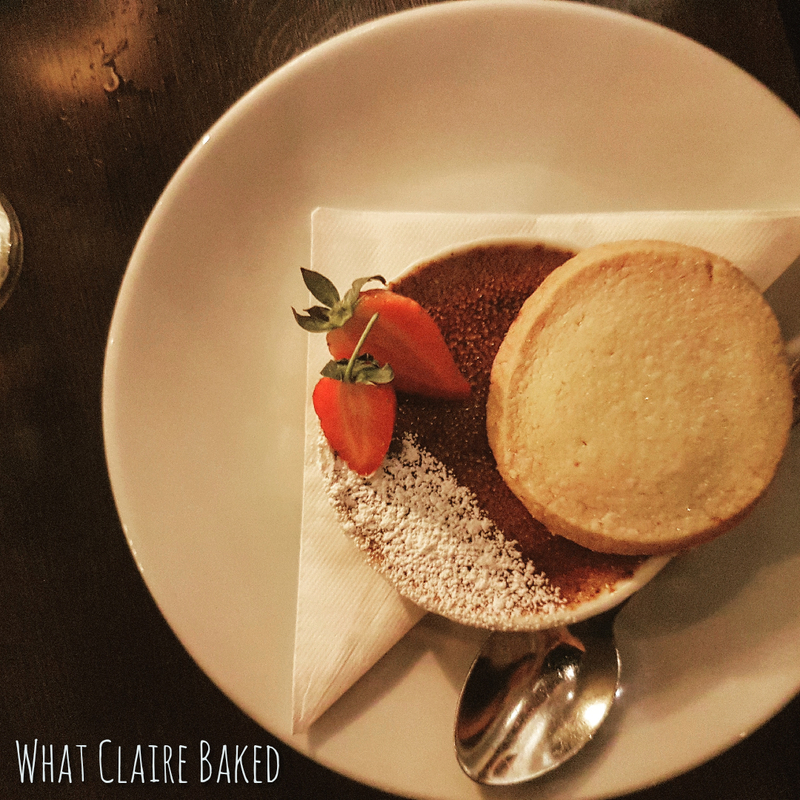 Not one to shy away from a crème brulee, I ordered up my dessert, which came with a strawberry, homemade shortbread AND a perfect crack on the top. There’s nothing more disappointing than when it arrives with a soggy top. Thankfully, this one lived up to my expectations! The Italian Kitchen was incredibly welcoming. Service was outstanding – from knowledgeable staff who knew the menu and took pride in their job. 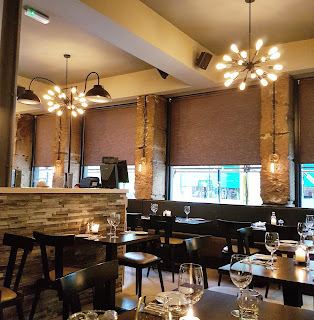 For a Wednesday night, the venue was fairly busy, but if you were down at the Merchant City end of Ingram Street after work, you might be lucky and get a table as a walk in mid week… Unlikely at the weekend. The restaurant has been owned and operated by Marco since 2002 and is a staple of the Merchant City dining scene. For more info, visit their social media pages on Facebook and Twitter. 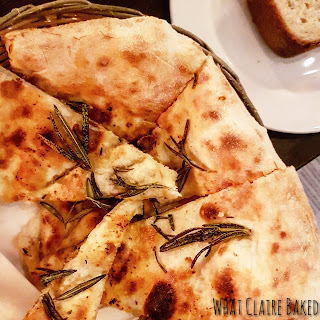 Disclaimer: I was invited to an all expenses paid dinner at Italian Kitchen. Any opinions expressed are my own.